On 7th April 2014, annual rent and service charges increases will be implemented for all tenants. This year, however, there will be no increase to the rent element of the gross accommodation charges. However, for the tenants living on Grafton Road, Leverton Street, Malden Road or in London Borough of Hillingdon including Grasmere Court and Rydal Court, the weekly rent will increase by 3.7%. This is because the housing association which own the home is putting their charges up to Odu-Dua. The rent pays for repairs, maintenance, housing services and communal services amongst others. The remainder of the rent goes towards paying for the cost of building the home. To understand tenants’ expectations and satisfaction with the services, we are carrying out a Satisfaction Survey in 2014 particularly focusing on rent and value for money. The information tenants provide will help us to shape our services in accordance with the priorities. Service charges will increase by a maximum of 3.7% this year but individual tenancies may vary. This applies to all Odu-Dua tenants and tenants on on Grafton Road, Leverton Street, Malden Road or in London Borough of Hillingdon including Grasmere Court and Rydal Court. 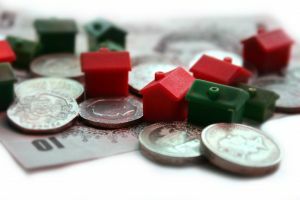 It is crucial that the tenants always prioritise the rent payments. If there is any difficulty, contact the Housing Officer, Akima, on 0207 625 1799 immediately.